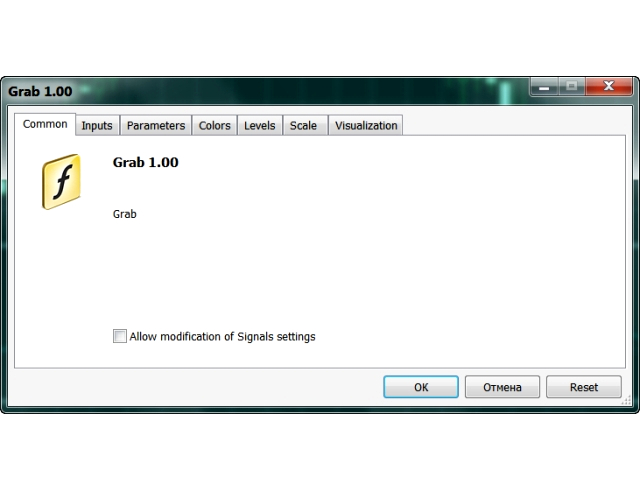 The Grab indicator combines the features of both trend indicators and oscillators. 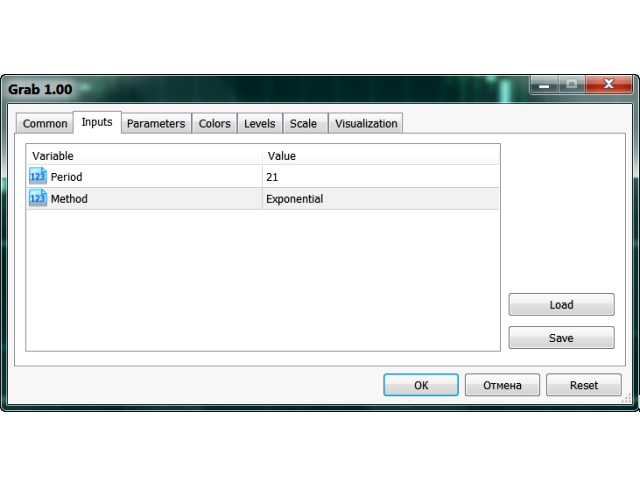 This indicator is a convenient tool for detecting short-term market cycles and identifying overbought and oversold levels. 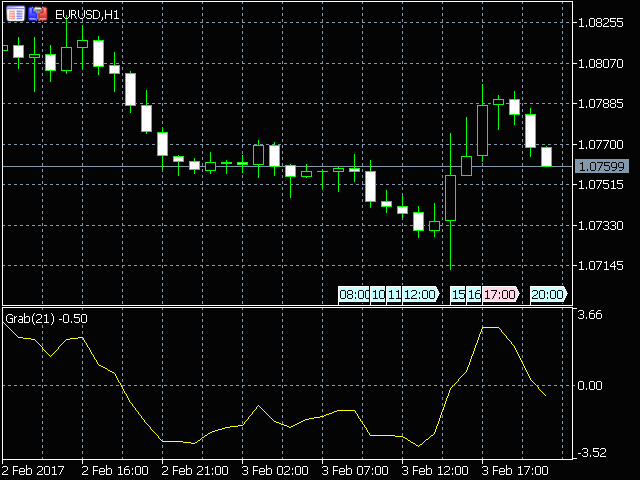 A long position can be opened when the indicator starts leaving the oversold area and breaks the zero level from below. A short position can be opened when the indicator starts leaving the overbought area and breaks the zero level from above. An opposite signal of the indicator can be used for exiting positions. 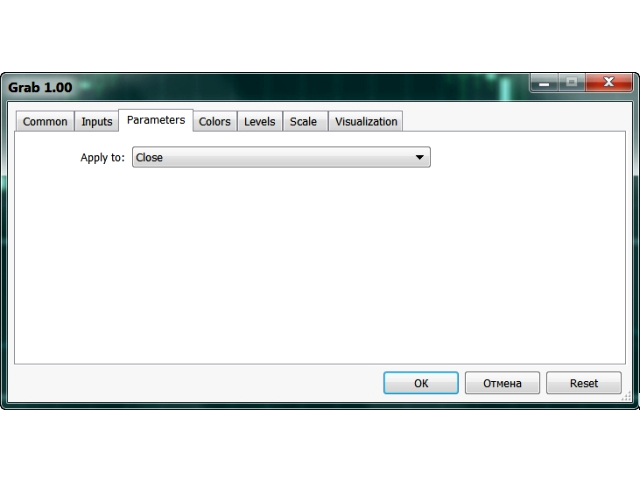 The Inputs tab of the indicator allows to choose the indicator period, as well as one of the four moving averages (Simple, Exponential, Smoothed, Linear weighted). The Parameters tab allows to select one of the seven price types to apply the indicator to (Close, Open, High, Low, Median, Typical, Weighted). 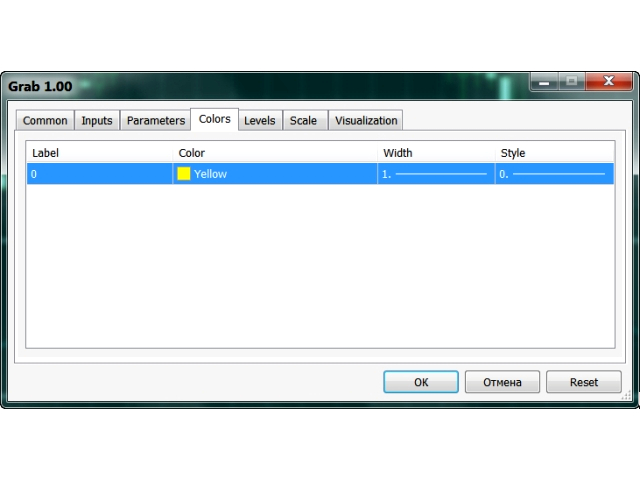 The Colors tab allows to choose the color, width and line style of the indicator. apply to - select from the seven applied price types.